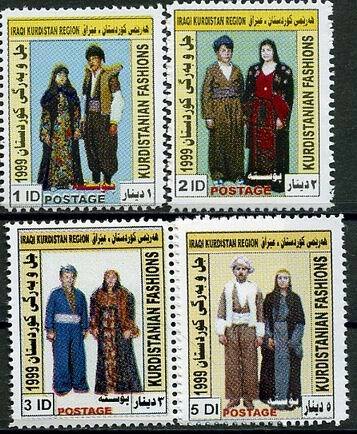 or individual items are not offered for sale. 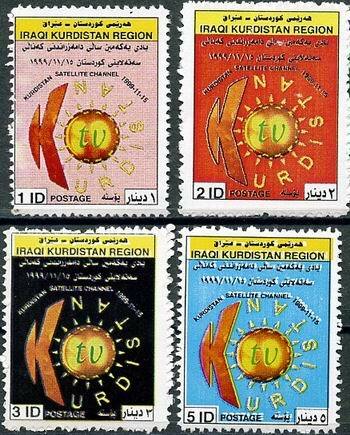 Feel free to use the scans and information for lawful purposes. 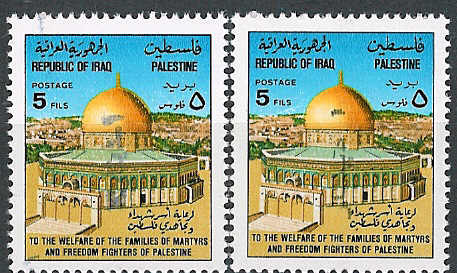 The stamps shown below first appeared in 1993 when the overprinted 1977 Iraq issue of The Dome of The Rock [SG1291 - ScottRA23 - Mi912] was issued. 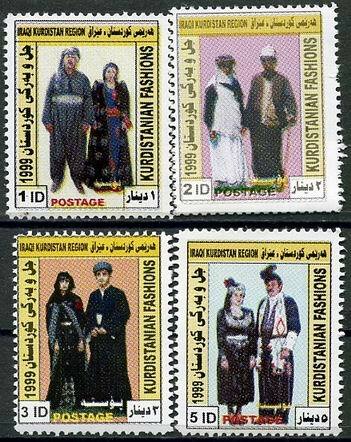 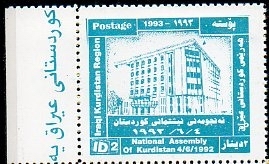 Another set of stamps showing the Kurdistan National Assembly Building was issued simultaneously. 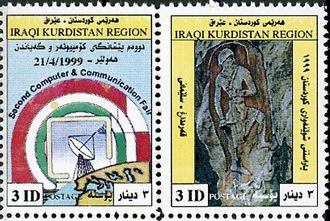 The datestamps on FDC's for both issues show 4th June 1993.
and each stamp value shows the date in English - 1993 at the top and 1992 at the bottom! 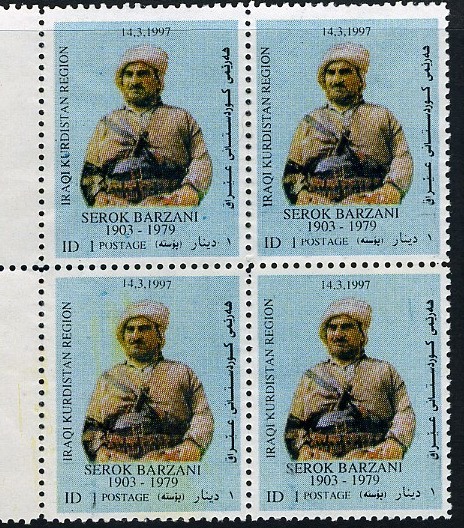 then stamps with terribly rough perforations appeared. 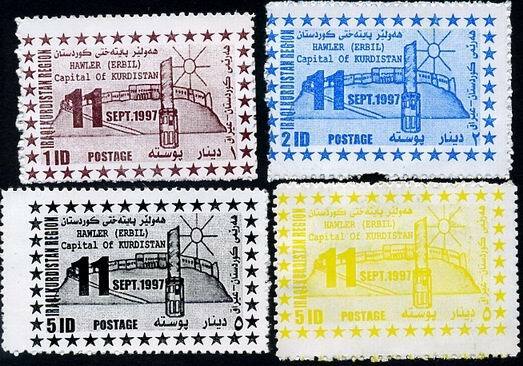 Kurdish newspapers and on Kurdish official websites gave details of later issues officially sanctioned by the Kurdish authorities. 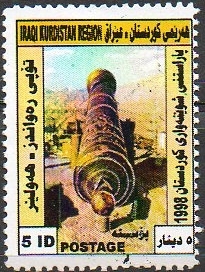 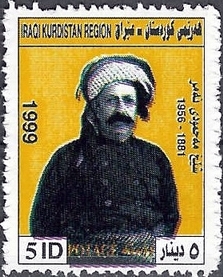 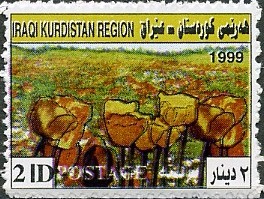 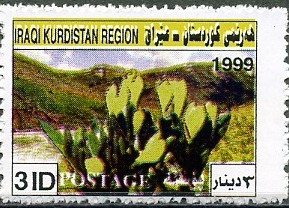 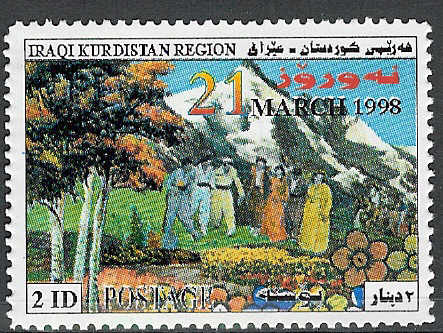 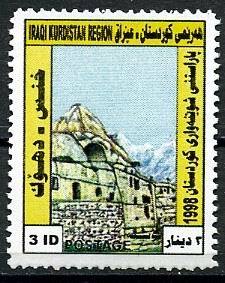 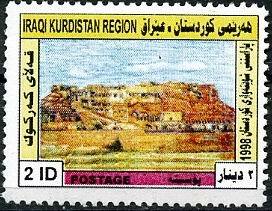 The very first stamp to appear in Iraqi Kurdistan. 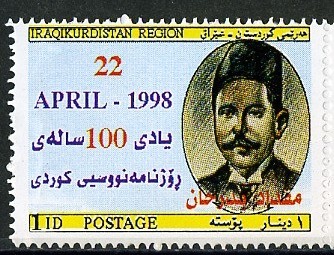 with a vertical, usually quite faint, 'One Dinar' overprint. 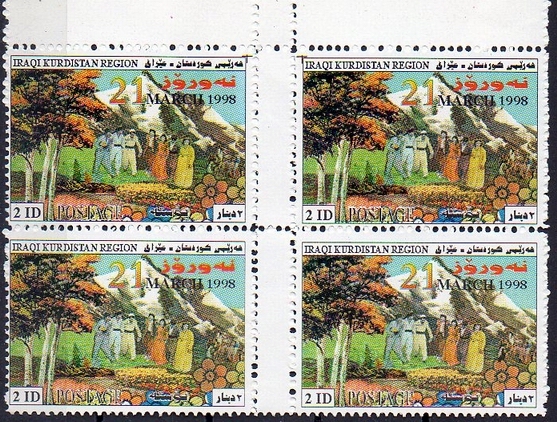 There are 2 types of overprint - see illustration. 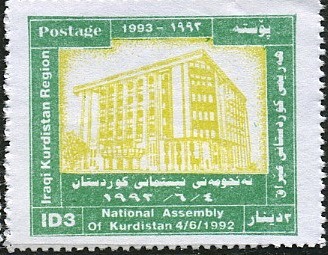 National Assembly of Kurdistan Building’. 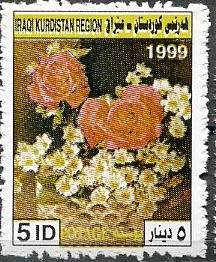 but with the date 1993 on the top. 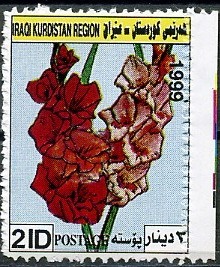 Both stamps are printed on shiny paper with peelable yellow backing. 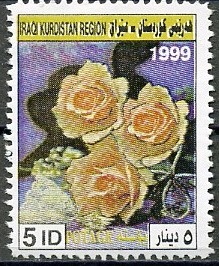 Rough perfs. 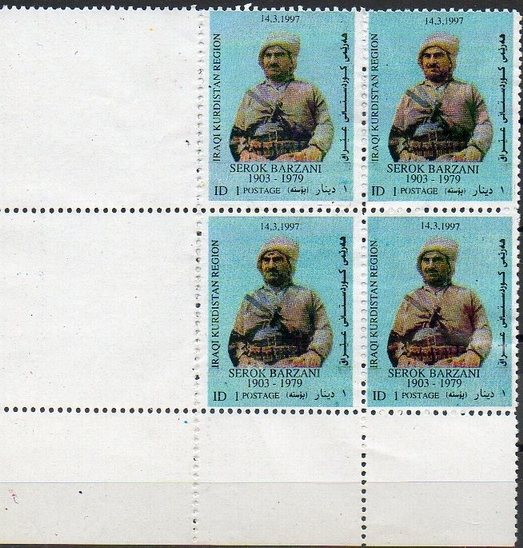 10.5 X 10.5 and printing faults. 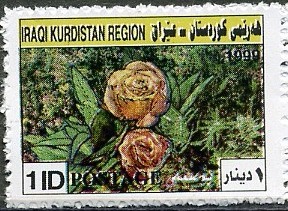 A single marginal 2 ID value. 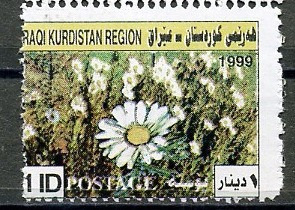 Ungummed stamps on white paper. 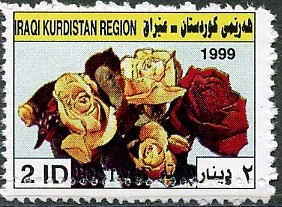 and the year 1993 is shown at the top and bottom of this stamp. 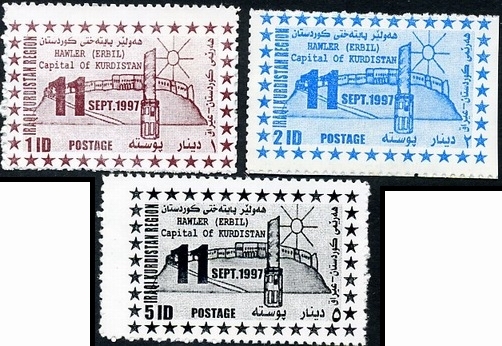 but the green 3 ID still shows 1993 at the top and 1992 at the botton. 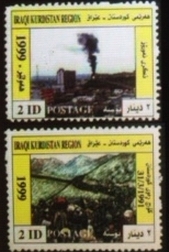 The value of the 2 ID now shows "2 ID" and not "ID 2" as on the shiny stamps. 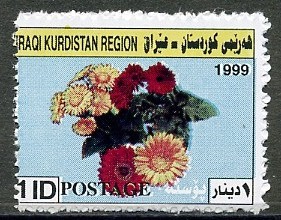 The 1 ID value is a rare item and was not issued in shiny self-adhesive form. 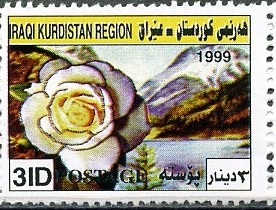 Ungummed stamp on white paper. 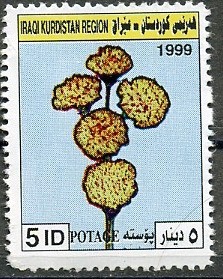 A single 3 ID value. 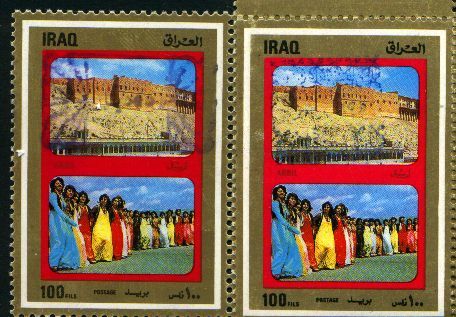 showing Erbil a and Kurdish girls in colourful Kurdish dresses. 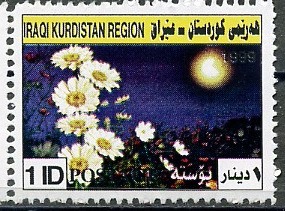 or vertically and are usually are very faint. 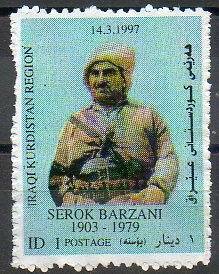 Serok Barzani [1903 - 1979] the Kurdish leader. 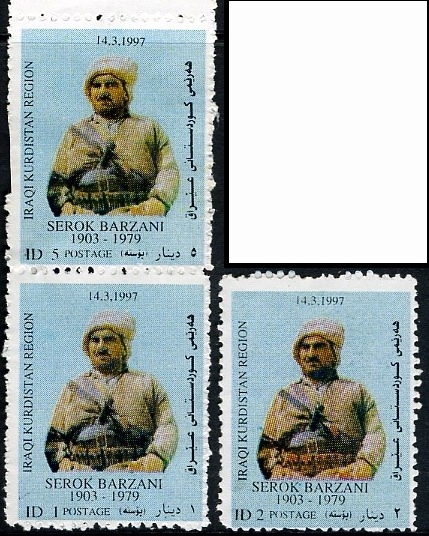 Set of 3 identical stamps with different values. 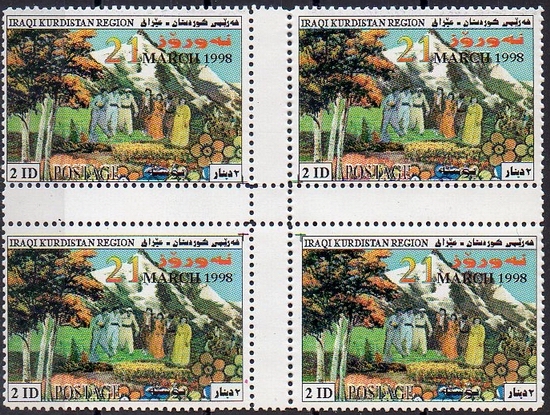 All values were printed within one sheet, but with very few 5 ID values. 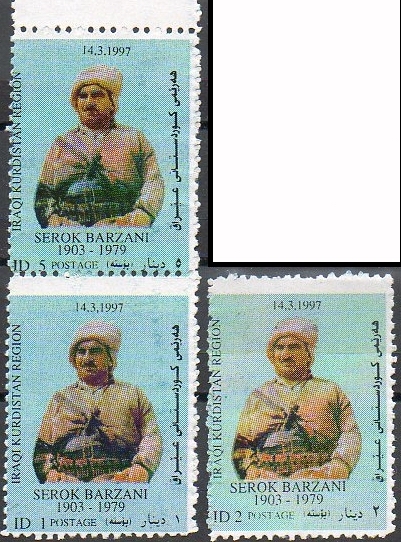 Serok Barzani [1903 - 1979] set of 3. 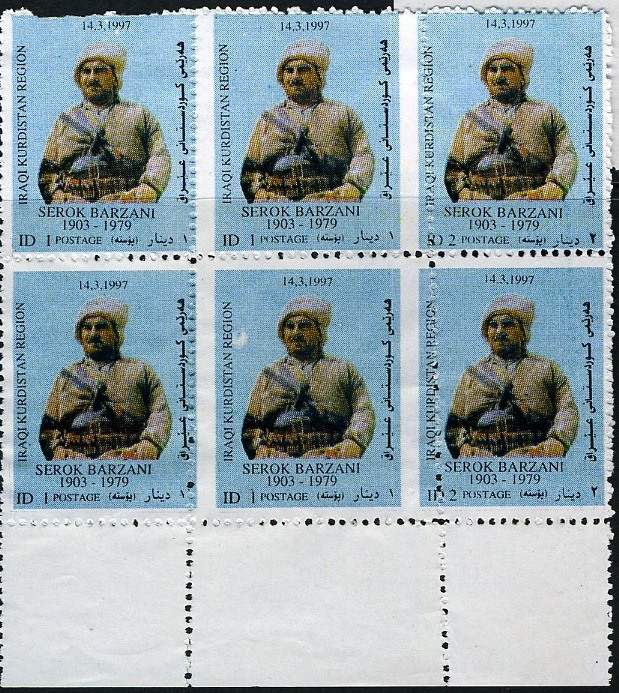 Serok Barzani [1903 - 1979] row from bottom of page. 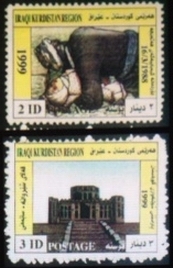 2 ID on left, and 3 x 1 ID stamps on right. 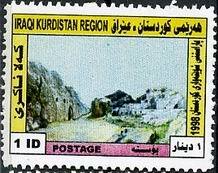 Hawler [Erbil], declared the Capital of Kurdistan. 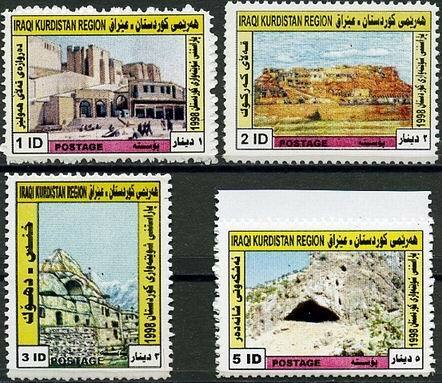 and this could be true, as sets from another source did not include the yellow 5 ID value. 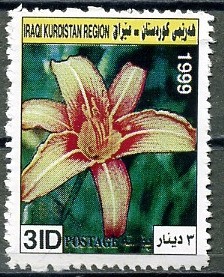 One mulicoloured stamp, value 2 ID. 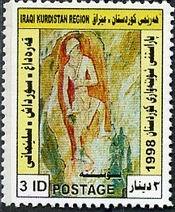 There appears to have been at least two printings of this issue as shown below. 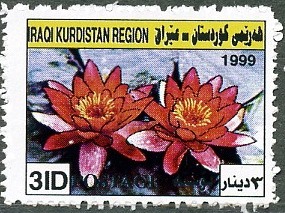 are printed on gummed paper. 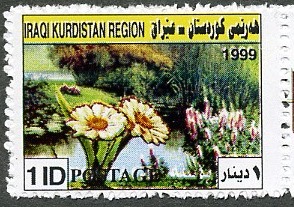 with both vertical and horizontal central gutters. 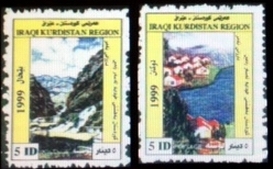 Block of four as shown above. 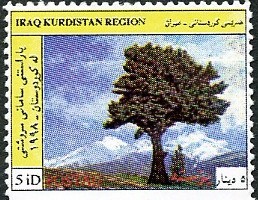 Tree - single 5 ID stamp from 'Nature' set. 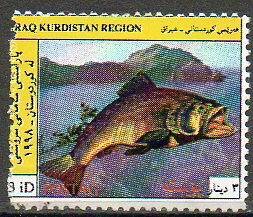 Fish - single 3 ID stamp from 'Nature' set. 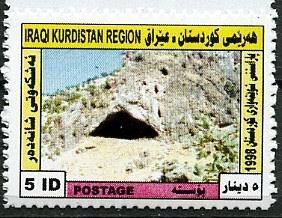 incorrectly thus reducing the width of this stamp. 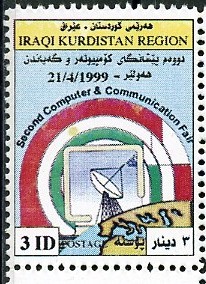 Second Computer & Communications Conference. 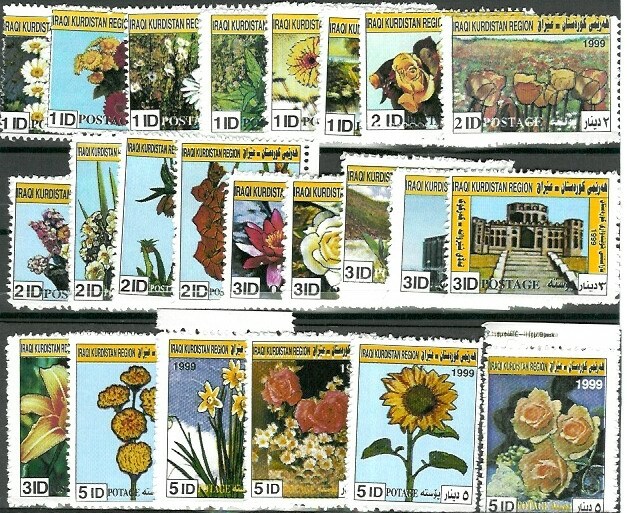 Large sets of stamps began to appear in 1999, starting with a set of 21 Flowers + 2 Buildings. 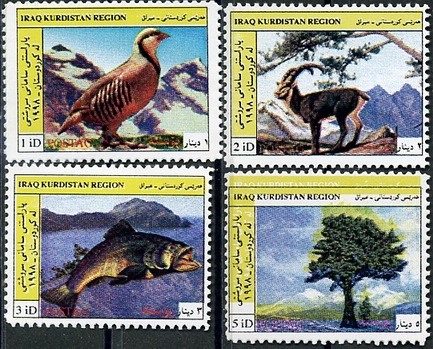 [1ID, 2ID, 3ID, 5ID]. 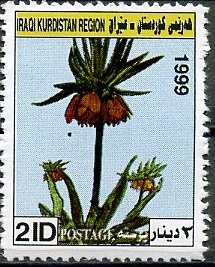 Most peculiarly, 2 of the 3ID se-tenant pairs were of a flower and a building! . 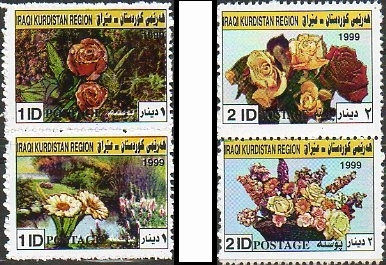 A few flowers were also issued imperforate - flowers M, N, and S .
These were probably printed after the perforation machine had broken down - see elsewhere on pages. 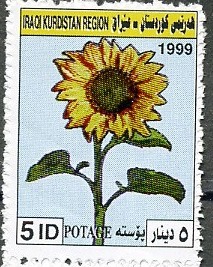 and the 5 ID values had the word 'POSTAGE' printed as 'POTAGE'. 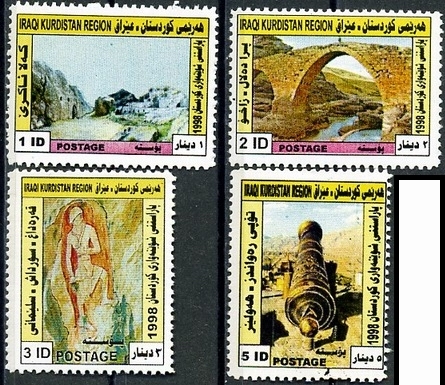 These are being sold as errors on auction sites but all 5 ID stamps had the word mis-spelt. 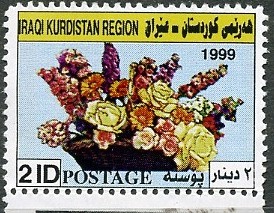 Flowers shown below are offered as single stamps - unfortunately no complete set is available. 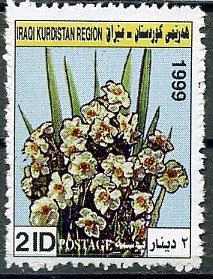 Several 'Flowers' items are available from proof runs - see "Proofs & Errors" section when page is added. 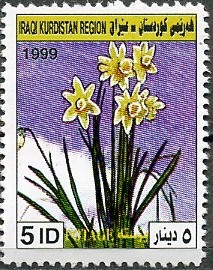 as on 5 ID values of the Flowers.